Americans today are frustrated and anxious. Our economy is sluggish and leaves workers insecure. Income inequality, cultural divisions, and political polarization increasingly pull us apart. Our governing institutions often seem paralyzed. And our politics has failed to rise to these challenges. No wonder, then, that Americans - and the politicians who represent them - are overwhelmingly nostalgic for a better time. 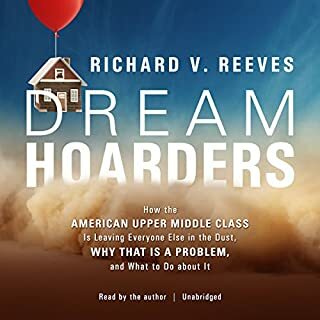 A groundbreaking examination of the growing inequality gap from the best-selling author of Bowling Alone: why fewer Americans today have the opportunity for upward mobility. It's the American dream: get a good education, work hard, buy a house, and achieve prosperity and success. This is the America we believe in - a nation of opportunity, constrained only by ability and effort. But during the last 25 years, we have seen a disturbing "opportunity gap" emerge. Americans have always believed in equality of opportunity, the idea that all kids, regardless of their family background, should have a decent chance to improve their lot in life. Now this central tenet of the American dream seems no longer true or, at the least, much less true than it was. 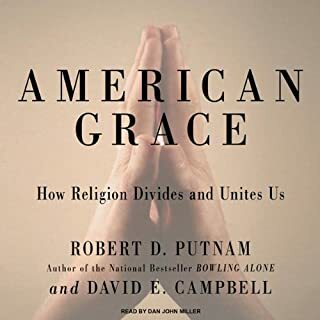 Robert Putnam - about whom The Economist said, "[H]is scholarship is wide-ranging, his intelligence luminous, his tone modest, his prose unpretentious and frequently funny" - offers a personal but also authoritative look at this new American crisis. Putnam begins with his high school class of 1959 in Port Clinton, Ohio. By and large the vast majority of those students - "our kids" - went on to lives better than those of their parents. But their children and grandchildren have had harder lives amid diminishing prospects. 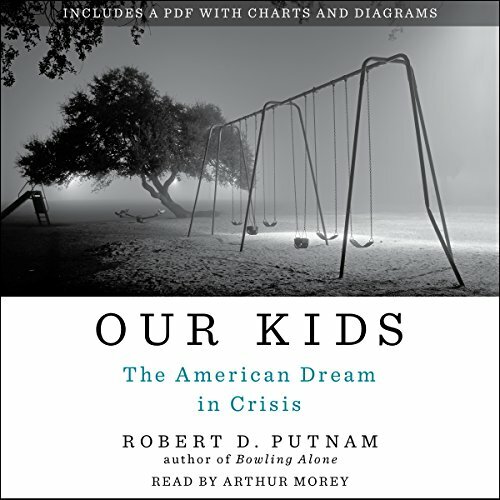 Putnam tells the tale of lessening opportunity through poignant life stories of rich and poor kids from cities and suburbs across the country, drawing on a formidable body of research done especially for this book. 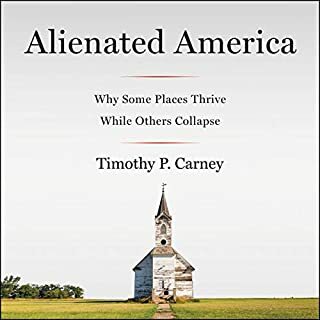 I think this book sheds light on a problem that a lot of us try to ignore - the growing poor right around our own neighborhoods. I don't have children, but I am nonetheless amazed when someone glibly states "if you want to get ahead, you just need to work a little harder". This book explains just why that no longer really rings true. I found it to be very informative and thought provoking. Awesome Book - Makes you think! Yes, I would recommend this book to a friend, I wish I could buy a copy for every teacher at my kids' school and have them read it. I think that a lot of this book is about thing that we are all aware of, things that happen, yet haven't quite put words to it. Also, the way we treat some kids and not others, something I believe came on us slowly, and not really consciously intended. He brings it to the surface. What was one of the most memorable moments of Our Kids? All the personal stories of the parents and the kids. Arthur Morey was an excellent pick for this book. There are a lot of statistics in this book, yet when he read them it was easy to keep up. We all need to read this book and listen to its message. Our future as a democracy depends on narrowing the opportunity gap and giving those in need, and their children, the resources they need to be successful. 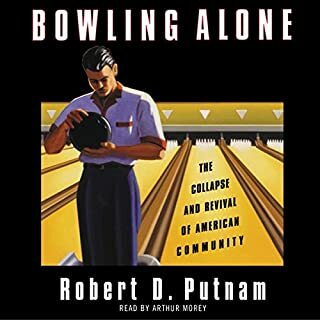 From the author of Bowling Alone, this could be seen as the follow up. What has happened to social mobility in this country and why. And he has some ideas on what to do about it. 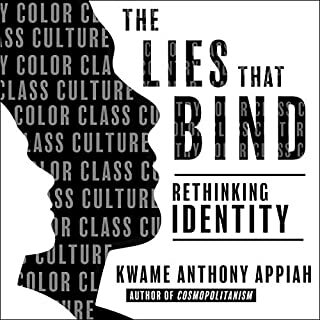 This is an important book for anyone who is concerned by the growing divides in wealth, income, and opportunity in America. All the kids in America are "our kids" and it is our responsibility to help them and give them opportunities that they wouldn't otherwise have. If you don't believe that, read this book and it will change your life. A relevant and Powerful book. A must-read for anyone working with kids and those who have children of their own. This book is for people who care to know how life turns out for children growing up like us and for others in situations different from ours. Bob Putnam's account is measured and hopeful in pushing against threats to equal opportunity and quality of life. Be a mentor. Donate to good causes. Be politically active. Oppose pay to play in schools. Be there consistently for a relative or someone down the street. We're in this together. As a liberal with libertarian leanings instead of a social conscience, and as a feminist who associates 'blaming' social ills on the breakdown of the family structure and social order' with the despised conservative right-wing AND hailing from Africa, the topic of economic inequality in the US in the context of social order breakdown has not deeply concerned me, and yet I found Mr Putnam's analysis deeply affecting. His in-depth case studies of the poor and marginalized left me angry and saddened in equal measure for the injustices they expose and much to think about in terms of the importance of family and broader community (a word a normally detest) support structures. Certainly changed my perspective on the (rigged) American dream in terms of equal opportunity and social mobility. Essential reading on both sides of The Pond. how, really, to make America great again. Compulsory reading for those wondering what just happened in America. 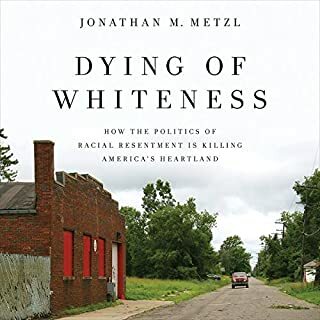 If the idea that mendacious racists have unexpectedly taken over the country seems unsatisfying to you then you may find Putnam's argument - that there are real demographic and socioeconomic drivers dislocating middle and working class America from the metropolitan elite and they're not the ones the liberal media think they are - pretty compelling. I certainly did. This is a really interesting book but the narrator's voice put me off a bit. At times he sounded a bit like a robot (maybe he is). I think he was going for an educated, informed tone but it could have done with a bit more variety of tone. The book itself is very good. I especially liked the indepth case studies - they really humanise the material.